Dr. Stryker grew up in the small East Texas town of Woodville. He attended the University of Texas at Austin for and Undergraduate Degree in Biology. 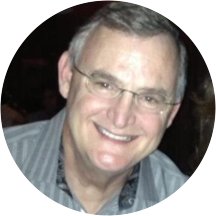 His post graduate career began with the study of Physiology in San Antonio in 1975 and ultimately received his Doctor of Dental Surgery Degree in 1984 from the University of Texas Health Science Center Dental School. He has been in private practice in San Antonio since 1984. He was fortunate to marry his beautiful wife, Eileen, who has become his resident expert on dental insurance. When not working at the office, he is busy with his family as an active member of Holy Spirit Catholic Church. He and Eileen have a son, Thomas, and a daughter, Michelle. Thomas is a graduate of Texas A&M Galveston with a degree in Marine Engineering and has been working in Houston for 2 years. Michelle is a Junior at Texas A&M Galveston, studying Marine Administration. She looks forward to working in the business office of a marine industry company. Dr Stryker considers himself fortunate to be a member of the great profession of Dentistry and strives to keep on the cutting edge of the technology available. He is a current member of the San Antonio District Dental Society, Texas Dental Association and the American Dental Association. He looks forward to servicing your Dental needs. Everyone was very professional and polite, Very relaxed and pleasant atmosphere. Been with Dr. Stryker since he hung his shingle. 30+years ago. Nuff said! Excellent treatment by staff as well as services rendered by Dr. Stryker. Most pleasant! Being that it was our first visit with Dr. Stryker we had a great experience--a very good one. Over all Dr. Stryker and his staff are very professional. We would surely recommend you'll to our relatives and friends. Thank you very much. Our whole family has complete confidence in Dr. Stryker. I have a new crown in my mouth in one visit, with very little pain. Great job! Margaret O.
Dr. Stryker is the best dentist I've had. He is so patient and really goes over everything. The whole office staff is so nice and helpful. I recommend Dr. Stryker to anyone with any dentistry need! The staff was very friendly and courteous. They took great care of my boyfriend. We will be back! Dr. Michael Stryker, DDS has no appointments on Zocdoc right now.